When I first started blogging, I did a post called BEAUTY BITS AND BOBS which essentially lists my favourites of that month. In that post, I mentioned one of my all time favourites was the Chanel Coco Mademoiselle fragrance. And I’ve also mentioned it in other posts… multiple times… Whoops! Chanel is definitely one of those timeless classics. Nothing quite reaches the sophisticated level of Chanel. Once you go Chanel, you don’t want to go back! (In saying that I love switching up perfumes every now and then!). 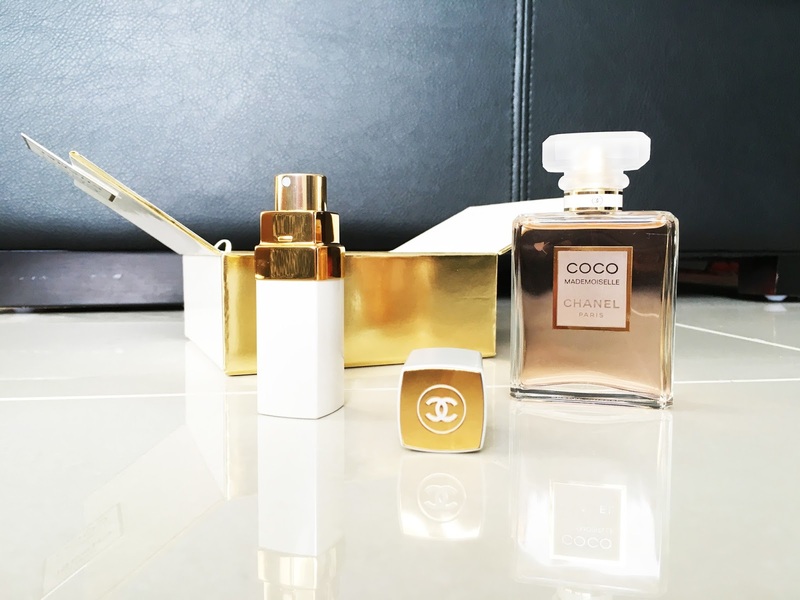 The Coco Mademoiselle perfume itself is quite expensive however I came across this 50mL EAU DE PARFUM gift set which was perfect. This set comes with one travel size Coco Mademoiselle, one eau de parfum and three refills for the travel set. BARGAIN! Compared to the normal Coco Chanel fragrance bottle, this one was better value for money! Coco Mademoiselle is a very feminine oriental fragrance with underlying notes of floral jasmine and rose. The packaging is both elegant and classy and looks super pretty on a desk or a table. 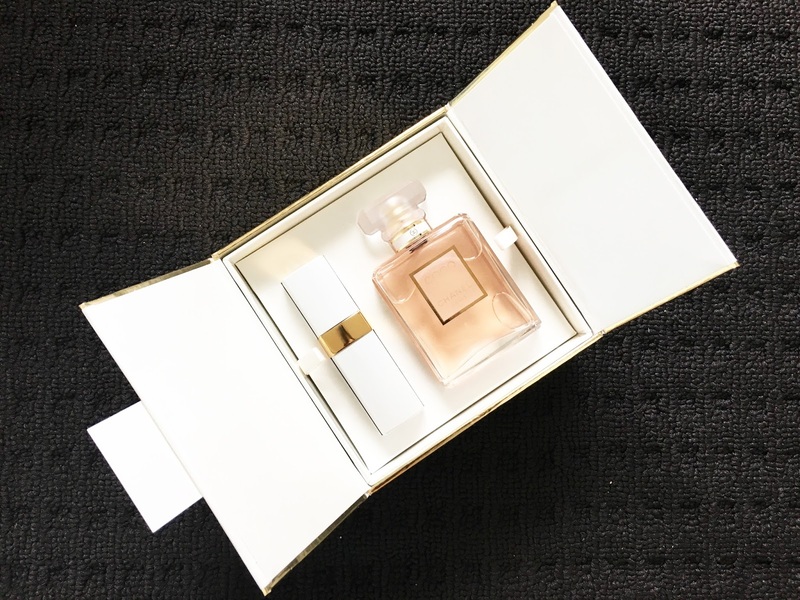 The perfume comes in a gorgeous pearly white box. 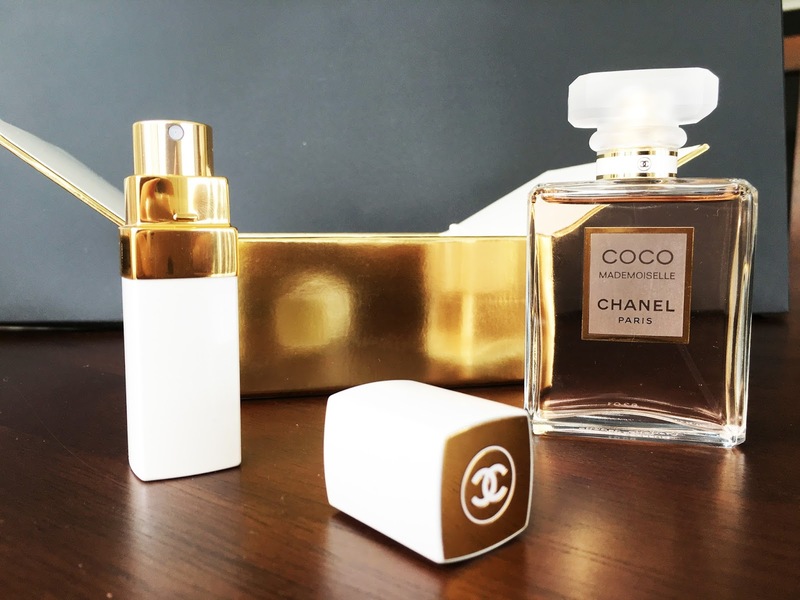 Once opening, you are greeted to the pretty pink perfume Coco Mademoiselle bottle with a cute travel size perfume stick in the same pearly white. 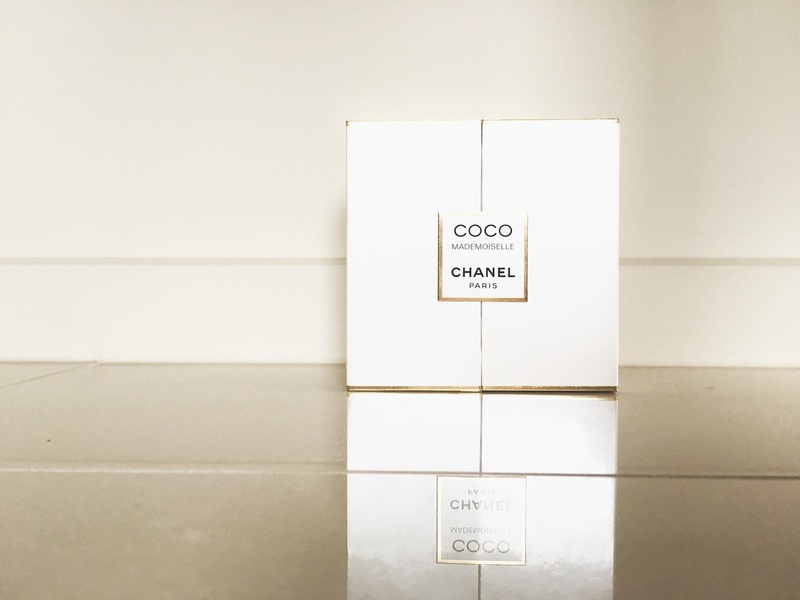 The Chanel Coco Mademoiselle parfum bottle itself is quite expensive however this 50mL EAU DE PARFUM SET gift set is perfect in value for money. This set comes with one travel size Coco Mademoiselle, one eau de parfum and three refills for the travel perfume. BARGAIN! And with Christmas coming up, this will be the perfect gift for anyone! Do you have a favourite Chanel perfume? What is your favourite perfume? Natural, Raw & Vegan Lip Balms // Hurraw! Previous Post Christmas Gift Guide for HER!